The only book to deal comprehensively with insect feeding was published by C. T. Brues in 1946. His Insect Dietary was an account of insect feeding habits. Since that time there has been a revolution in biology, and almost all aspects of our understanding of insect feeding have expanded to an extent and into areas that would have been unthinkable in Brues' day. Yet, our book does not replace Insect Dietary but, instead, complements it, because our aim is to bring together information on the mechanisms by which food quality and quantity are regulated. We deliberately focus attention on the feeding process; to include food-finding would have required a much larger book and would have moved the focus away from more proximate mechanisms. This book is dedicated to the late Vincent G. Dethier. As a pioneer in studying the physiological basis of animal behavior, he focused on regulation of feeding in flies and caterpillars. His work on the blowfly, together with that by his many students and co-workers, still provides the most completely described mechanism of insect feeding. 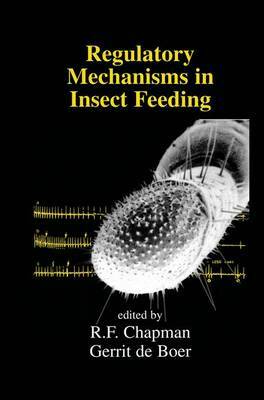 The citation of his work in almost every chapter in this book illustrates the importance of his findings and ideas to our current understanding of regulation of insect feeding. The authors in this book provide many innovative and stimulating ideas typifying Dethier's approach to the study of feeding be- havior.